I know Dom already touched on his opinions of the Gears 4 beta, but I’m actually good at Gears of War multiplayer, so you’re gonna hear from me on the subject now. 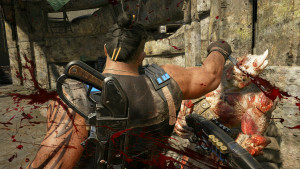 Rev up the chainsaws and get your gnasher actives ready because Gears of War 4 is almost upon us. I got Gears of War Ultimate Edition back in August 2015 and was happy to find a beautiful remastering of a classic game series that I fell in love with, and dominated so long ago. It brought back the old memories of playing countless hours of Wingman with some of my best friends and even getting ranked in the top 100 in the world at one point. There truly aren’t many feelings as satisfactory as slapping a frag onto an enemy in Wingman and killing a whole team or two; this was all in Gears 2, but Gears 1, 3, and Ultimate were fantastic also…we all agree to forget about Judgement. What really drives the Gears franchise is the amazing campaign with memorable characters, plots, and unfortunately losses. What gives Gears its longevity however, is the amazing multiplayer that comes with such a great story. Gears of War 4 is almost here and the arrival of the Beta has struck a few chords for me. I did have a few qualms with the multiplayer beta, but nothing too severe to deter any COGs from anticipating the newest entry. There isn’t too much new as of right now. There was only one new weapon, the Dropshot, which added another layer of combat and fluidity to gun battles. It allows you to shoot out an aerial mine that drops onto enemies, even behind cover, this helps to push dug in enemies out of tough choke points. There has been news of a few more weapons to come with the full game, so hopefully they can help change up some gameplay mechanics. The maps are kind of bland and don’t have many differences that set them apart from one another. They are for the most part blocky and grid based with the typical cover locations and routes to power weapons spread out fairly on both sides. Another thing is the new characters lack emotion or ingenuity. They are similar builds to the original COGs and it is probably just because we haven’t gotten into the campaign yet, but it would be cool to have some nice call signs from the newbies that give shoutouts to the originals. Popping a dropshot over cover for a kill and getting a verbal response form your character referring to the legendary Cole Train would be an amazing addition. Something like “You couldn’t hide from the Cole Train, you won’t be hiding from me baby”, or something stupid along those lines. Just throw in some fan service to the vets here. Also the bullet sprays seem a little off and weren’t registering against structures, which couldn’t let you judge how far off you were with shots during gnasher fights. I’m sure this won’t be the case with the final product though. The beta is another clone of Gear 3 multiplayer and I don’t have any problem with that. I’m a bigger fan of the slower more lumbering multiplayer stylings of 1 and 2, but I am still on board with the slightly faster pace of 3 and 4. It plays like Gears of War 3 in the pacing, by having that extra little boost of wall bouncing and speed the twitchier players love. There is that heartwarming crunch to popping off headshots and besting someone in a 1 v 1 gnasher fight. 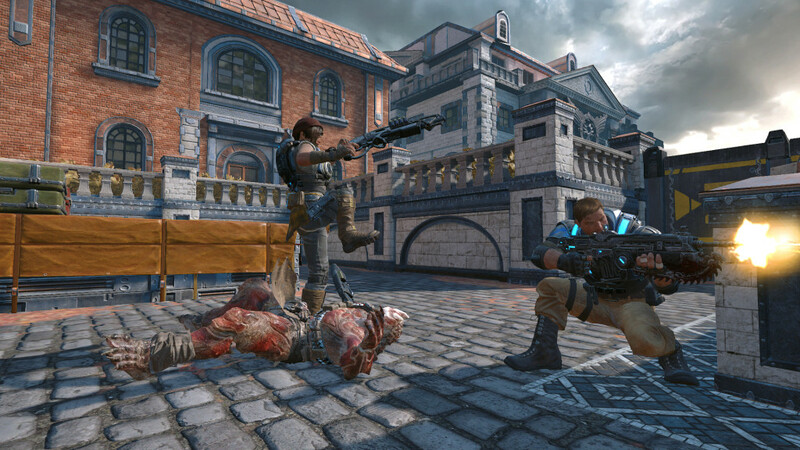 It really does bring back a comfortable feel to the Gears of War multiplayer. 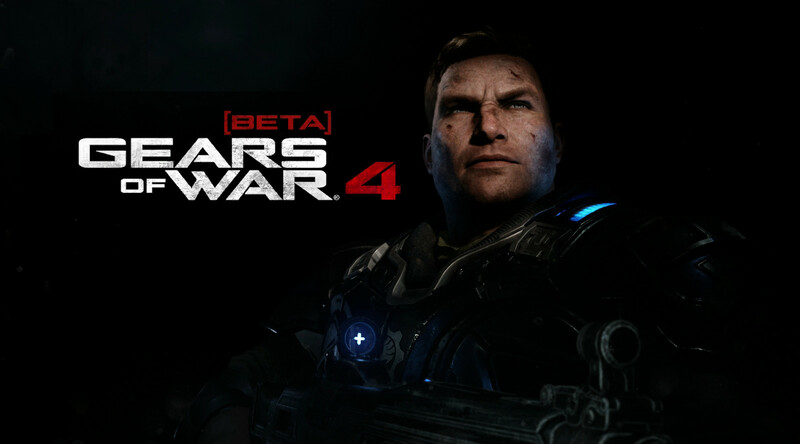 The biggest upside to the beta is…well it’s another Gears of War game. The fan base was left on a sour note from Judgement and Ultimate helped to sweeten that up a bit, but with the arrival of a new Gears game can totally turn that around. They have the opportunity to revive this series with new characters and stories, and I am hoping they blow it out of the water. If you are decent at the multiplayer, definitely check it out and prepare yourself for the oncoming waves of Locust. If you aren’t the greatest Gears player, then it is probably going to be more of the same for you. There is so much room for this franchise to grow and I completely look forward to the new entry of this amazing series.